Let it snow let it snow let it snow (or sner even). We’ve also had the photo shoot for our new brand Charlton Hall Designs – it was an amazing day on location at a fabulous riding school in the sunshine with our team of amazingly talent photographers AND a visit from a features writer from a big national glossy magazine – can’t wait to see the article which is going to be all about innovative leading design and illustration skills (no text manipulation here or copying – we lead we dont follow). 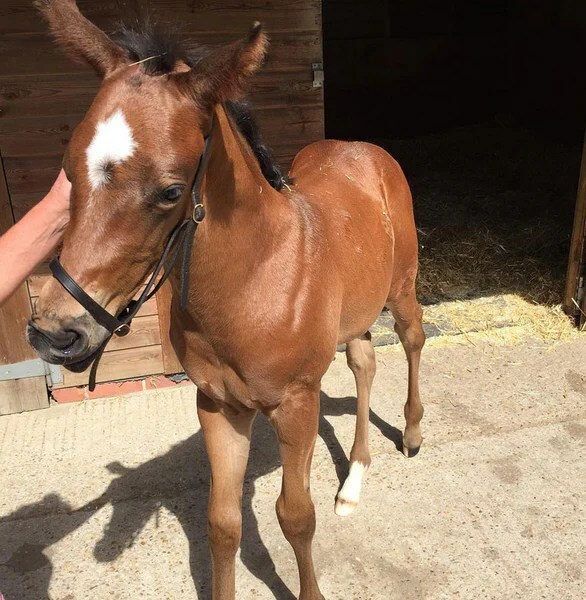 Here’s a photo of one of the stars in the photo shoot – the gorgeous foal called Banksy!! We have taken on a new member of staff too – Abi has joined us as Jo’s assistant – she is amazing in every way and don’t know what we did without her already!